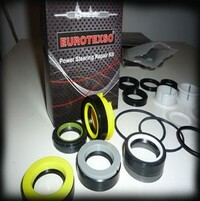 EUROTEXSO DISTRIBUTION always sells ANY type of steering repair oil seal, while advising customers at the same time. 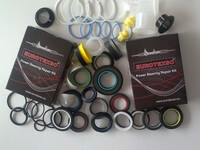 Every steering gear manufacturer recommends in their repair manuals, in case of one seal failure, the replacement of all the sealing elements in the steering box or power steering pump, therefore we provide our customers with the complete steering repair kit. 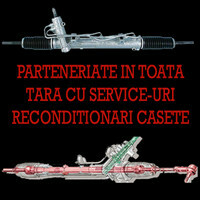 Having available in stock at all times any steering box repair kit, we are the company with the largest offer of steering repair kits in the world.Oil seals are ordered by specifying: brand of the car, car model, manufacturing year or in the event of multiple models in the same year the steering box original code. Careful!!! 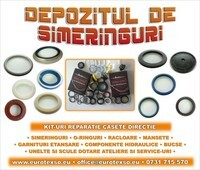 Ordered oil seals can only be returned personally, or if it’s done by courier they must be inspected by an SC EUROTEXSO DISTRIBUTION SRL employee to determine if it can be resold. If it is found that the seals can not be put back on sale, no refunds will be provided. Ascertainment documents together with pictures of the related defects or flaws that would make the seal non-compliant for reselling will be saved for 12 months in the EUROTEXSO DISTRIBUTION archive. Your placed order suggests the mandatory reading and acceptance of our sale and warranty terms available in a dedicated section of the online store, in product description and also on-demand through a mail to office@eurotexso.eu.